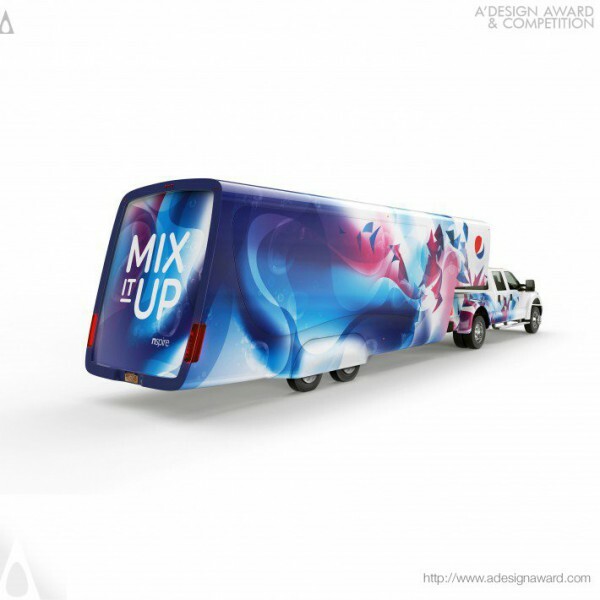 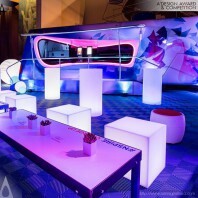 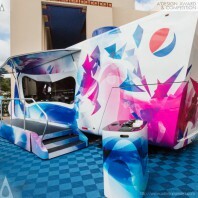 PepsiCo Design &amp; Innovation, the creator of the displayed work PepsiCo Nspire by PepsiCo Design &amp; Innovation explicates, PepsiCo NSPIRE is a premier mobile food and beverage kitchen that engages both consumers and customers as well as a graphic and transportation design system that is synergistic with the user interface of the Spire family. 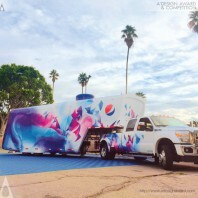 The approach embodies the fun spirited nature of Pepsi Spire through colors and dynamic movement of graphics on a structural surface that is both minimal and modern in form. 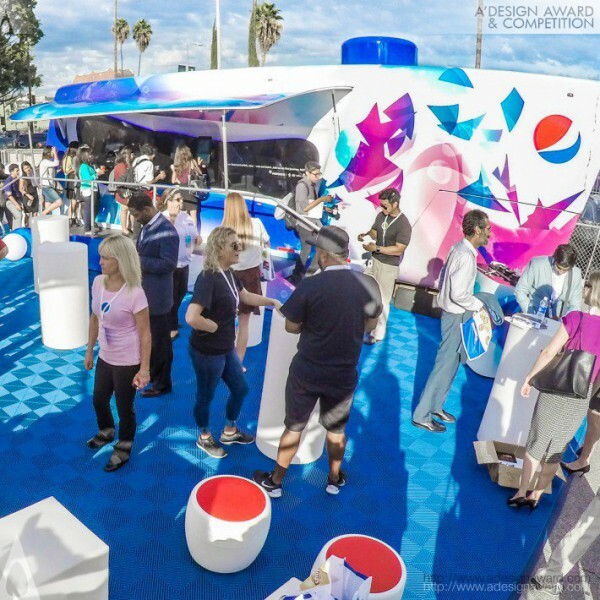 The halo shaped service window is a gesture to the holistic approach at PepsiCo to bring both food and beverage offerings into one holistic experience..